Leading consumer groups are calling for the Australian Parliament to support moves by the Senate to protect the integrity of Centrelink’s budgeting tool for essentials, Centrepay, by excluding rent-to-buy products. The intention of Centrepay is to help welfare recipients prioritise essentials such as rent and utility bills. Businesses providing “rent-to-buy” or “consumer lease” deals can access the payments of welfare recipients first in order to rent them household goods at an exorbitant cost. This creates the perverse situation where Centrelink appears to provide a rubber stamp of approval to businesses that actively target the poorest Australians and charge extremely high costs. Consumer advocates have welcomed the news that the Bill to exclude consumer lease products from Centrepay introduced by the Shadow Minister for Human Services, Senator Doug Cameron, passed the Senate today, and are urging the House of Representatives to follow suit. “The passing of Senator Cameron’s Bill in the Senate is a positive step towards protecting vulnerable Australians from the high costs imposed by these businesses. 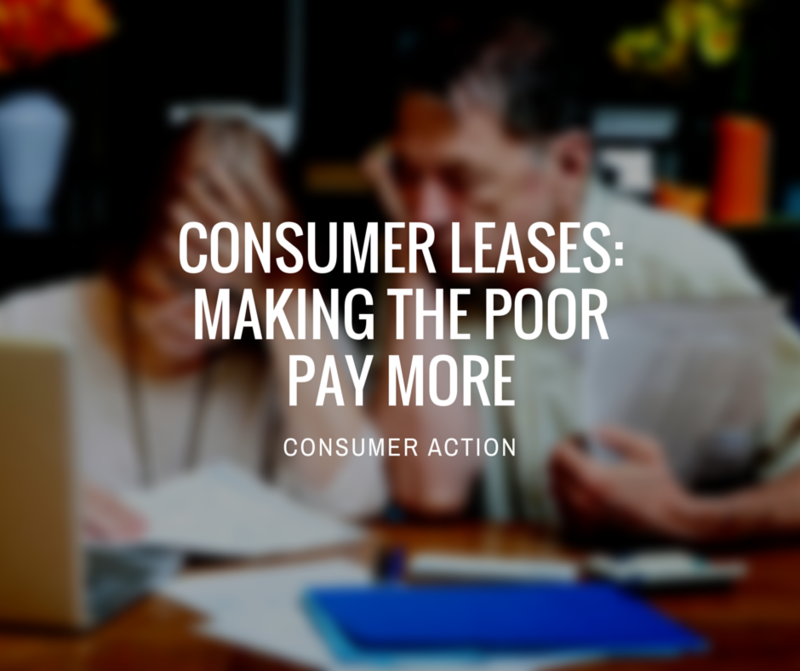 Many consumer lease providers use Centrepay to make deductions directly from people’s welfare payments, which effectively prioritises costly lease repayments over other essentials like food and transport,” says Denise Boyd, Acting CEO of Consumer Action Law Centre. Vulnerable and disadvantaged Australians have been ripped off by expensive consumer leases for too many years. Depending upon the business, people using consumer leases can end up paying three times or more the retail cost of the product, and don’t even have the right to own the product at the end of the lease. Unlike other types of high cost credit, consumer leases for household goods can be paid for via the Centrepay system. the total amount paid by the consumer is greater than the value of the goods being rented.